After losing contact back in November, the Russian Space Agency admits failure. The Russian Phobos-Ground spacecraft, which was to be headed for a moon of Mars and is now stuck in Earth’s orbit, will come crashing down next month. The toxic fuel and radioactive material on board is cause for concern, but according to the Russian Space Agency, there will be no danger of contamination. We hope they are correct. We can expect 20 to 30 fragments to survive the fall and hit Earth’s surface, with a total weight of up to 200 kilograms (440 pounds.) The agency says that it will come down between Jan. 6 and Jan. 19. A few days before, they will be able to calculate roughly where the fragments will land. This was the first time that they have officially acknowledged that the $170-million craft has been lost and will come down. They have tried unsuccessfully to veer it away from Earth’s orbit and toward its target, but to no avail and so it will come back down, observing Newton’s Law. Phobos-Ground weighs 13.2 metric tons (14.6 tons) with 11 metric tons (12 tons) accounting for the toxic fuel that they are sure will all burn up on re-entry, safely away from us. 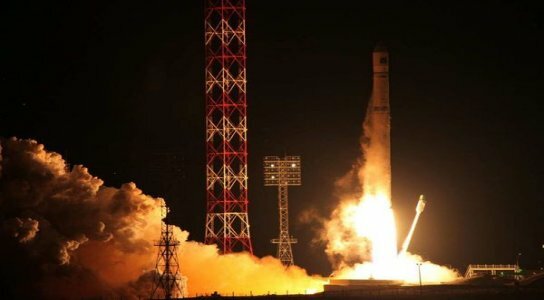 Be the first to comment on "Russia’s Mars Probe will Come Down in January"